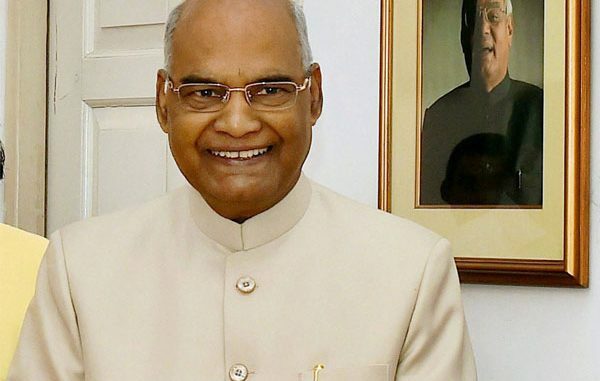 Noting that country’s developmental goals would have no meaning without equal opportunities for women, Kovind said that if this disparity was not addressed, then country’s “scientific achievements will always be less than perfect and less desirable. New Delhi: President Ram Nath Kovind rued on Tuesday the “distressingly small” participation of women in science in the country and said achievements would be less perfect without gender parity. He appealed to the scientific community to take “accelerated steps” to promote participation of girl students and women in science and technology. “None of our developmental goals has any meaning without any gender parity. The Council of Scientific and Industrial Research (CSIR) as a body and India has a society has made enormous progress and yet the participation of women in science in our country is distressingly small,” Kovind said. The president said less than two out of every 10 scientific researchers in India were women and of those who joined an Indian Institute of Technology, just about 10 per cent were women. “These numbers are simply not acceptable,” he said at a function to mark the platinum jubilee of the CSIR. Noting that the country’s developmental goals would have no meaning without equal opportunities for women, Kovind said that if this disparity was not addressed, then the country’s “scientific achievements will always be less than perfect and less than desirable. The president also gave away awards to scientists in the CSIR for their achievements. Kovind asked the scientific community not to lose the sight of basic scientific research amidst newer and advanced technology. Underlining that the CSIR and other science bodies in the country should help India navigate to adapt new technology and strengthen scientific research, he asked scientists to “make basic research relevant to our poor and deprived citizens”. Lauding the work done by the CSIR, Kovind said that while it constituted about three-four per cent of India’s scientific manpower, it contributed to nearly 10 per cent of the country’s scientific output. “This is extremely creditable and emphasises how important the CSIR is to the nation-building process. When a scientist works in a lab with integrity and sincerity and with the larger goal of helping the society, the person plays a role in nation building,” the president said. Kovind said that India’s ambitious national programmes such as Startup India, Make in India, Digital India, Swachh Bharat, Namami Gange and Smart Cities Mission could not be successful without scientists and technology incubators like the CSIR. He said that the true test of scientific research lay in its ability to help the society to leapfrog the social sector gaps in health and hygiene, sanitation, education, agriculture and “make us a middle-income country in one human life”. The president emphasised the need for socially inclusive yet cost-effective applications and products of science and technology. He dedicated to the nation two technologies developed by the CSIR — the first being a hand-held milk tester that will allow identification of adulterants and the second a waterless chrome tan technology that eliminates the use of water in processes before and after tanning for use in the leather industry.